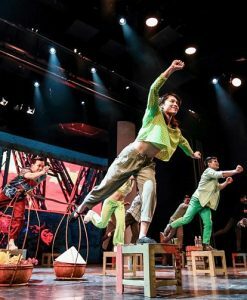 Ionah is the reverse name of the word “Hanoi” by director Pham Hoang Nam and is also the name of the main character in the play. 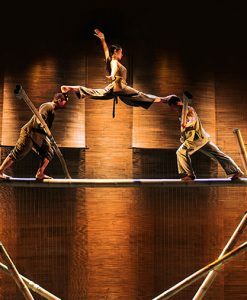 Ionah Show in Hanoi is a 70-minute story about a young girl’s adventure called Ionah. 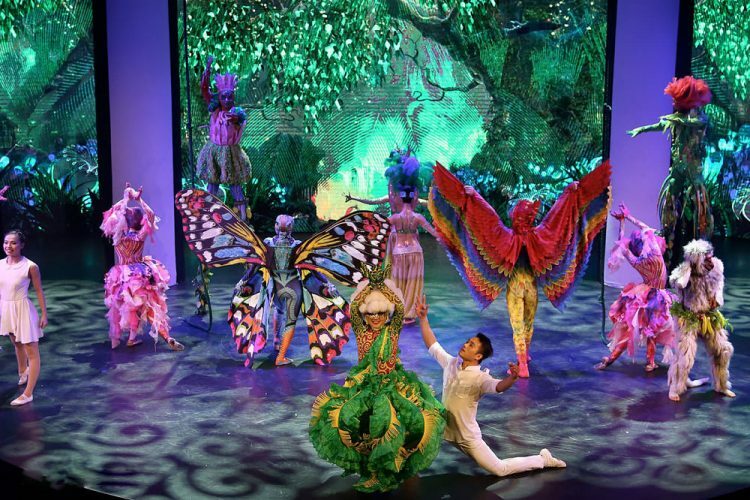 From the time she was immersed in dark emotions to the magical mystery land. Follow each step, you will be with her overcome all obstacles and fears to find happiness at the end of the journey. 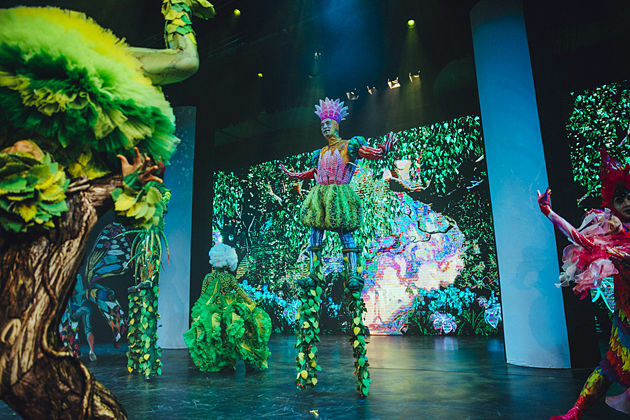 The show is a clever combination of many familiar art forms on stage such as drama, circus, dance, hip-hop … and interwoven with the most modern sound and light technologies. 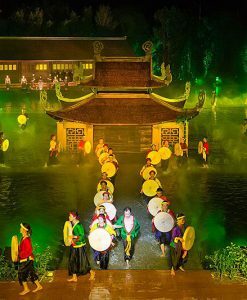 Therefore, Ionah Show in Hanoi promises to bring you interesting discoveries and unique experiences in your Hanoi tours. Special Price: Please contact us for a special deal. 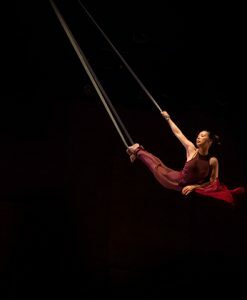 There are many famous art performances in the world. By the creativity of the artist, they can add and remove materials into their work. 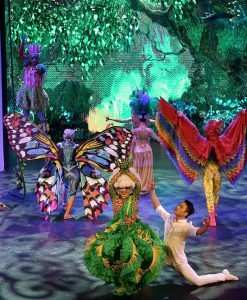 And Ionah Show in Hanoi is no exception with the circus as the background element, besides the presence of modern forms such as dance and hip-hop combined with music, visual art, lighting arrangements, advanced presentation techniques. 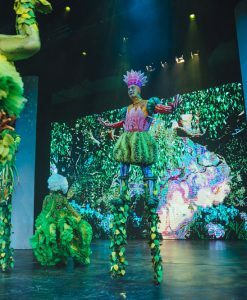 All of these materials were used in an extremely delicate and skillful way on the same stage, telling a story together and creating an incredibly unique Ionah Show. 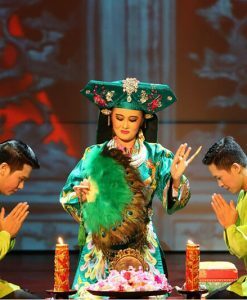 Within a short period of time, Ionah Show in Hanoi attracted a lot of attention not only from international travelers to Hanoi who wanted to learn about the culture but also the locals, especially young people are also interested in this unique show. All the memories of childhood seem to be rushed to make spectators extremely excited and overwhelmed by the sound and images. 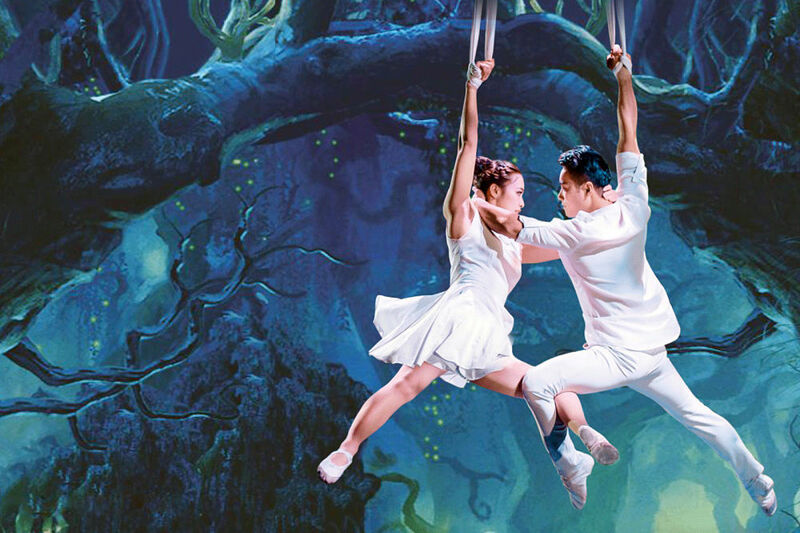 The 70-minute journey will take you through all sorts of emotions so that you and Ionah can discover and find yourself from dark moments, gloomy colors, secret corners to a colorful surreal world that is equally as magical. Following every step of the Ionah, you will adventure through the wondrous lands, facing fears, in parallel with suspense interwoven with hopes and beliefs. And after all, when she realized what she lost, it was also the time when you and her “broke” all obstacles and found joy and happiness at the end of the journey. Right from the name, it is partly said that the desire of the creative team wants Ionah Show in Hanoi to become a gift for the capital that they love so much. 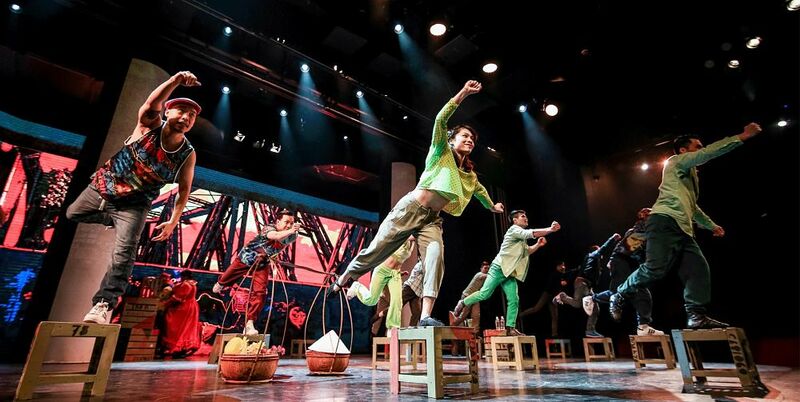 With that meaning and affection for the work, we can see every corner of Hanoi appears throughout the Ionah Show performances with the content about the love story of a Hanoi girl. 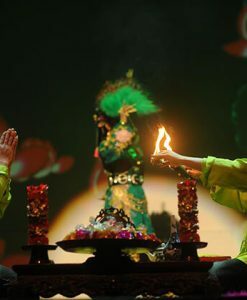 The street corners of a familiar Hanoi, the scenes of daily life suddenly become sparkling and more special when being displayed under the spotlight. 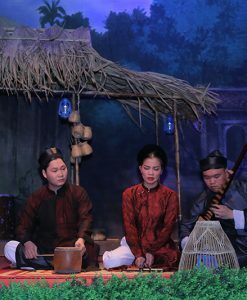 Moreover, an image of a modern Hanoi but still full of poetic dreaming appeared in the strange love story of the young couple. 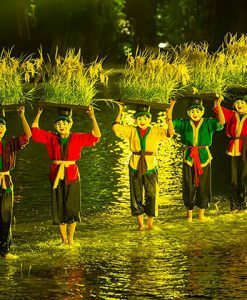 Enjoy the colorful art displays in the most voyeuristic way at Ionah Show to make most of your Hanoi local tour.